The ultimate goal of CyTuVax is to provide an effective treatment for patients with pancreatic cancer. CyTuVax has developed a revolutionary vaccination technology based on depot-attached cytokines. The adjuvant is capable of activating both the humoral and cellular arms of the immune system to induce powerful anti-tumor responses. CyTuVax develops therapeutic vaccines against cancer and protective vaccines against viral & bacterial pathogens for which there is a high medical need. The patient is at the core in our vaccine development in which we apply our powerful adjuvant platform technology. CyTuVax has developed a breakthrough, widely applicable and effective vaccination platform technology based on depot-attached cytokines as immune stimulator. The CyTuVax vaccines can generate powerful immune responses and are especially designed for cancer immunotherapy. The distinctive feature of our vaccine is a highly improved and prolonged antigen presentation by dendritic cells, which results in a stronger activation of immune cells. The CyTuVax vaccination technology is a platform technology in several aspects. It can be applied with a wide range of cytokines aggregates as adjuvant and against a wide range of tumors. The vaccine has been successfully tested in preclinical studies with murine model tumors (fibro-sarcoma, melanoma, kidney, colon, mammary carcinoma and B-lymphoma). The effectiveness of the vaccination technology has also been verified in vaccines against viral targets (Hepatitis B) and bacterial targets (Antrax, Diphtheria and Tetanus). CyTuVax is currently testing its vaccine technology in a clinical Phase 2 study of a vaccine for hepatitis B non-responders, persons that do not respond to standard hepatitis B vaccines. 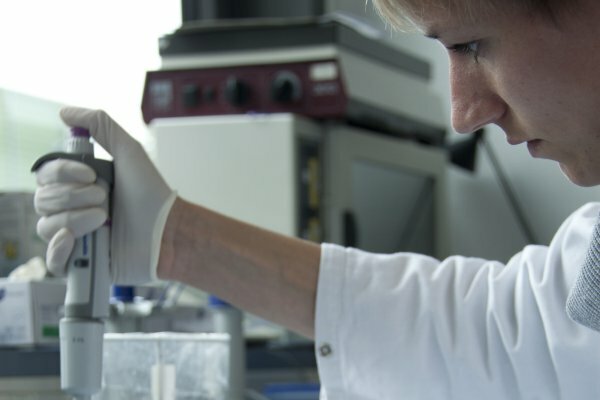 This clinical trial is being conducted with the Maastricht Universitair Medische Centrum (MUMC), Ziekenhuis Oost Limburg - Universiteit Hasselt, and Universiteit Antwerpen. More information about this clinical trial can be found at ClinicalTrials.gov. Clinical Phase 2 Study - BE RESPONDER! Cytuvax BV starts with a Phase 2 BE RESPONDER! clinical study to investigate the immunogenicity and safety of its Hepatitis B HBAI20 vaccine for Non-responders. tumor cells (red) and tumor cell fragments (red). CyTuVax has developed a powerful vaccination technology consisting of depot-attached cytokines as adjuvant and irradiated autologous tumor cells as vaccine target.